WEST LAFAYETTE, Ind. -– Purdue’s Bell Tower will be lit up in blue from April 1st through the 8th in honor of World Autism Awareness Day on Saturday (April 2) and National Autism Awareness Month. Purdue will light up the bell tower as part of a campaign that asks people and organizations to light up their homes or buildings in blue Friday (April 1) and Saturday. The Empire State Building in New York City and the CN Tower in Toronto are among the buildings that have been lit up in blue. 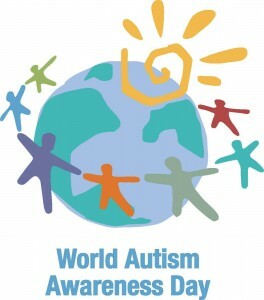 According to the Pinning Down Autism website, 67 children are diagnosed per day, said Jessica Simpson, program vice president of Alpha Xi Delta’s Purdue chapter and a sophomore in health and human sciences. The sorority will try to raise awareness through April by passing out blue ribbons and puzzle piece pins around campus and hosting “Xi Marks the Spot,” a competition based on the TV show “The Amazing Race,” among fraternities, sororities, organizations and independent club teams.